Manage your home movie/clips collection. Is there a better alternative to Clipstart? Is Clipstart really the best app in Video category? Will Clipstart work good on macOS 10.13.4? 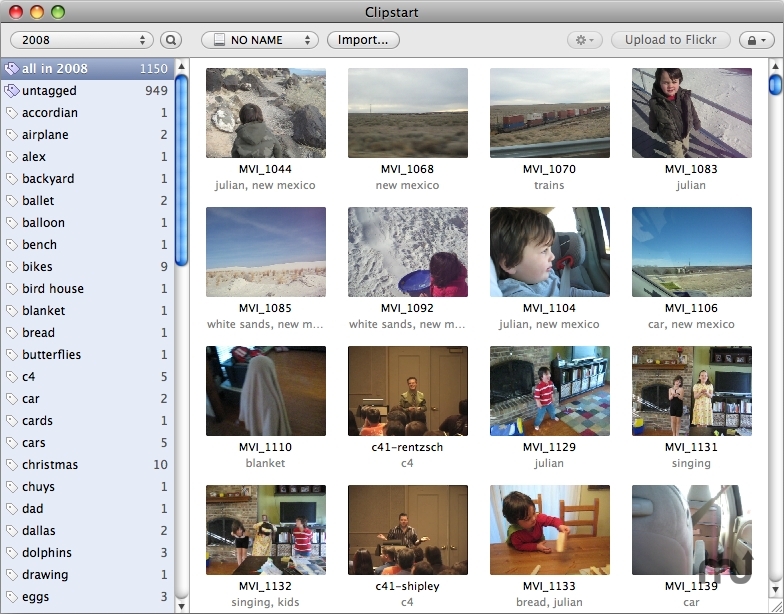 Clipstart complements your photo application to give you a place that is designed for home movies. Import your videos, tag, search, and upload with one click to Flickr, Vimeo, YouTube, and Twitter. You can even quickly upload a trimmed portion of a movie without needing to save a new copy. If you have dozens or hundreds of short videos from a Flip or video camera, Clipstart provides the workflow to finally make sense of them. Clipstart needs a rating. Be the first to rate this app and get the discussion started!